It does make one wary, perhaps because of Capcom’s past release history for the Street Fighter franchise; once again leading us to that catch – 22 they are stuck in. The only recourse for all the extra fighters, colors schemes, newly added BGM testing and character titles is grinding out for Fight Money and earning it the hard way, but the time sink is enormous, even more so than most fighting games in the past. 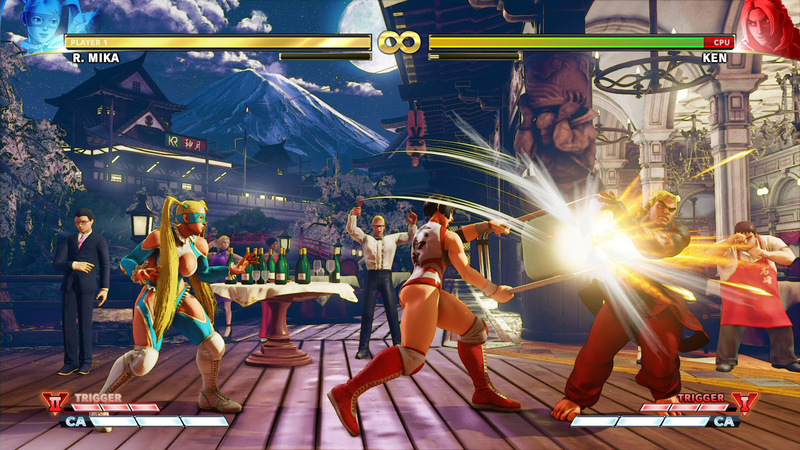 Street Fighter V: Arcade Edition, as a product, is what Capcom should have shot for in 2016. 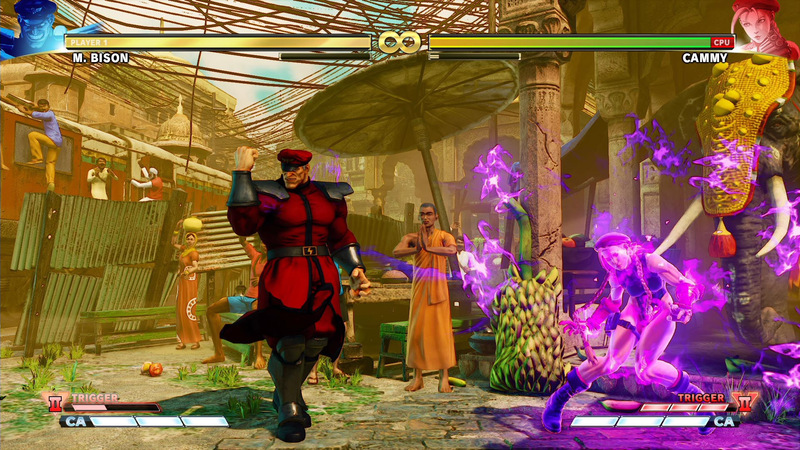 Street Fighter V: Arcade Edition, the core game, is a good fighter that’s getting better. 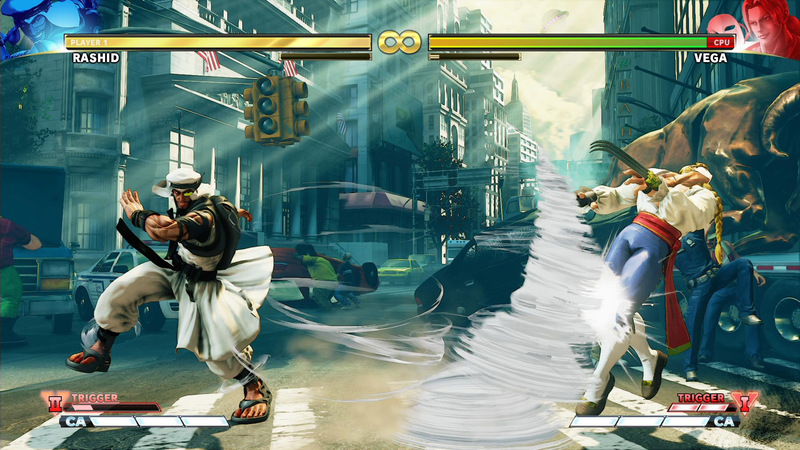 If you don’t already own a copy of Street Fighter V, this is a really nice spot to jump in. If you do already own a copy and the Season 1 and 2 characters, well, the update is free. So have at it. 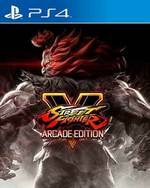 Street Fighter V: Arcade Edition is not something that every Street Fighter fan has to rush out and buy. 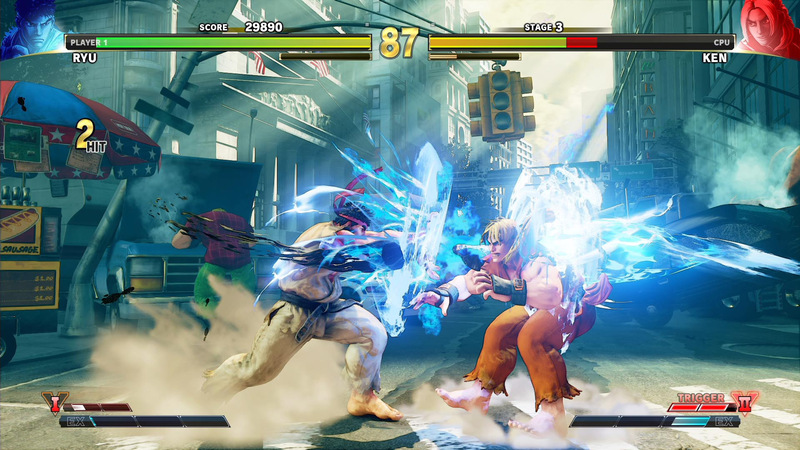 The bulk of what’s included in this game is already included in Street Fighter V and will be made available via a patch. However, it IS a good entry point for newcomers. A game that’s been out for a couple of years now with almost all issues having been ironed out since launch, Street Fighter V is one of the best looking and best playing fighting games on PlayStation 4. Overall, Street Fighter V: Arcade Edition is the game we’ve all been waiting for since the original game launched almost two years ago. Each character plays as smoothly as any other version, the colors and unique soundtrack are definitely one-of-a-kind. This is, now, one of the best fighting games in the series, and one of the best fighters of the current generation. After two years of additions and tweaks, Capcom has finally gotten Street Fighter V into the state it should've launched in. What was only a tournament-ready fighter is now a robust package. A roster of 29 characters, the long-awaited Arcade Mode, Extra Battle, Challenges, a great Training Mode, and solid online play add up to a release that shouldn't be missed for avid fighting game fans. With Street Fighter 5: Arcade Edition, Capcom has finally delivered a great fighting game experience. It’s not perfect by any means, but this is truly the game that should have been released two years ago. It’s smooth, fast and fun. 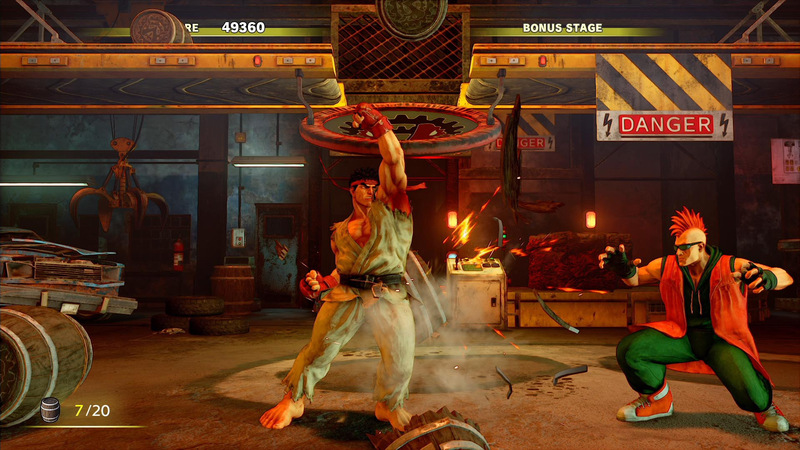 The menus are drastically improved and with so many new characters included, it’s a great value no matter how you look at it. .
Street Fighter V: Arcade Edition feels like Street Fighter V has finally fully launched. After a two year period of slow additions to a barebones initial package, Arcade Edition brings the heat in a ton of new single-player modes and a nearly-doubled roster of fighters to choose from. This is the package the Street Fighter faithful have been waiting for, even if the steps taken to get here feel a little slimy. Judging purely on the current state of Street Fighter V, with the new additions and inclusion of the season 1 and 2 characters in the Arcade Edition, it is most certainly one of the must-own fighters on the market right now. The arcade mode is enough to warrant anyone picking this up, even if it has arrived far too late. The FM changes are unfortunate, but the biggest peeve is that Arcade Edition itself is an extremely limited package, since everything here, barring the previous DLC characters, are free updates for owners of the original. Despite all the controversy Street Fighter V was always a great fighting game, but as unearned as some of the criticism might have been the Arcade Edition silences it once and for all. It’s still not quite the milestone Street Fighter IV was, but it is certainly one of the best one-on-one fighting games of this generation in terms of gameplay, online features, and now – at last – content. It's taken close to two years, but Street Fighter V finally resembles the game that it should have been from the start thanks to Arcade Edition. Newcomers can rest assured that there's now enough single player content to keep casual players happy, and at its core, the actual fighting remains top class. There's a cynical part of us that says Arcade Edition is little more than a glorified season three update, but the simple truth is that there's never been a better time to jump in. The Arcade Edition certainly makes up for all the criticisms tossed at the Street Fighter V for lacking content. This is a damn fine fighting game now, it’s just a shame everyone had to wait two years to get it. Bien dicen que más vale tarde que nunca y Street Fighter V: Arcade Edition es un claro ejemplo de ello. Pese a que tuvieron que pasar dos años, el juego por fin se se siente como un juego completo y como lo que debió ser desde el inicio. La inclusión de varios modos para jugarse en solitario como el tan necesario Arcade, la expansión de su elenco de personajes y el balanceo entre personajes son aspectos que le dan un nuevo brío al título y que aumentan notablemente la rejugabilidad. La versión 'casi' definitiva de Street Fighter V llega repleta de novedades, convirtiendo por fin al juego de Capcom en lo que debería haber sido desde un primer momento. No hay casi puntos débiles en la propuesta jugable que se oferta en este pack, convirtiéndose por méritos propios en una de las opciones más atractivas del género en estos momentos. Ahora sí que sí: un juego completo y tan atractivo para el multijugador como en solitario. Su sistema de lucha y nivel técnico están entre lo mejor del género. Street Fighter V: Arcade Edition es la contundente respuesta de Capcom a todas las críticas recibidas con el Street Fighter V original. Cuenta con todas las mejoras realizadas en el juego en los últimos 24 meses y todos los personajes estrenados desde entonces, conformando un variado plantel de luchadores nuevos y clásicos a la altura de la franquicia. Suma los esperadísimos modos para un jugador y un nuevo V-Trigger para cada protagonista, lo que añade mayor versatilidad a los más exigentes competidores. Street Fighter V: Arcade Edition corrige la mayoría de los problemas del título base, al añadir contenido que era importante y valioso para un juego del género. 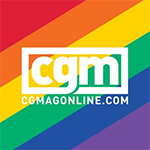 Dos años más tarde sus servidores online son más estables, en las tiendas puede encontrarse por un precio bastante bajo (de quince a veinte euros, según donde miréis) y si queréis el pack de contenido global, por 40€ tenéis el juego base y doce personajes extra. Capcom hat in den letzten zwei Jahren kontinuierlich Inhalte für das zum Start zwar mechanisch überzeugende, aber ansonsten weitgehend blutleere Street Fighter 5 nachgeliefert. Allerdings handelte es sich dabei neben dem ein paar kurzweilige Stunden dauernden Story-Modus hauptsächlich um neue Kämpfer. Doch jetzt, mit der Arcade Edition, ist der Prügler endlich auch für Solisten so interessant wie z.B. Injustice 2 oder Tekken 7. Expérience solo vraiment riche et plaisante avec l’ajout d’une section Arcade bien pensée, mode entraînement affiné, joutes locales en équipes, casting qui continue d’évoluer, menu et interface revus, gameplay plus varié avec l’ajout d’un second V-Trigger : Street Fighter V ressemble enfin à un jeu fini, même s'il n’est pas devenu meilleur en soi : il est juste devenu complet. Mine de rien, Street Fighter V Arcade Edition est aujourd’hui un jeu particulièrement complet qui arrive à la fois à ravir les amateurs du dimanche et les fans de baston de la première heure. En variant les modes hors ligne, les challenges et le versus, il offre une belle diversité d’option qui s’allie à un gameplay aussi ouvert que long à maîtriser. Street Fighter V: Arcade Edition è, finalmente, un gioco completo e all’altezza della saga di cui porta il nome. Un nuovo passo in avanti che permette anche ai meno pratici dei picchiaduro di godersi contenuti single player, mentre accontenta i vecchi giocatori da cabinato che ritroveranno il piacere di una classica modalità arcade, con tanto di classifica online. Sui vari finali a disposizione, come nella modalità storia, si poteva fare di meglio. C'è ancora qualcosa da limare (specialmente sulla distribuzione "avida" dei Fight Money e sul costo di alcuni contenuti), ma si fa davvero fatica a trovare note stonate in questa Arcade Edition. Non è ancora chiaro se questa terza Stagione rappresenterà il culmine per il gioco o un nuovo inizio, ma con Dragon Ball Fighterz dietro l'angolo e un nuovo Soul Calibur all'orizzonte, Street Fighter V si prepara ad affrontare degli sfidanti molto agguerriti. Sonuç olarak, Street Fighter V için çıkarılan Arcade güncellemesi, aslında iyi bir eklenti, fakat eklenme zamanı bir hayli yanlış ve Capcom bu tür önemli dövüş oyunu eklentisini geç bir zamanda ekledi. Ama ne derler bilirsiniz, "Geç olsun, güç olmasın." Waar de basis van Street Fighter V altijd al ijzersterk was, is deze nu ook nog eens een stuk completer geworden. Met een hele serie aan karakters, levels en outifts is er keuze genoeg. En wat betreft modi is er ook voor ieder wat wils, zowel online als offline, multiplayer en singleplayer. Tryb Arcade wydany z okazji 30-lecia serii stanowi niezbędny element, na którego pojawienie się czekali fani gry. Street Fighter V nareszcie jest grą kompletną. Jestem wielkim fanem gatunku bijatyk, który pół dzieciństwa spędził przy kolejnych odsłonach Tekkena i Soulcalibura. Cykl Street Fighter również mi się podobał, choć nie aż tak bardzo jak wspomniane serie mordobić. Moimi ulubionymi odsłonami „Ulicznego wojownika” były Street Fighter Ex Plus Alpha oraz Street Fighter Alpha 3. Z „piątką” zetknąłem się w marcu ubiegłego roku, ale regularne rozłączanie z serwerami skutecznie zniechęciło mnie do tej gry.